Are you a beauty-conscious person who wants to make sure that he or she looks pleasing in the eyes of everyone around? Then it’s not enough that you take regular trips to the hair salon or dermatological clinic and use only the best beauty products on the current market — it’s also important that you steer clear of habits that can make you ugly. Below you will come across some of the things that are known to make you less physically attractive. Grease usually found in some of the unhealthiest foods on the planet such as potato chips, fries, burgers and pizza will surely look for an escape route upon being introduced into your body. And do you know where it usually chooses to exit? Your skin — a very large organ of elimination. If you consistently include greasy foods in your diet, it’s not unlikely for your skin to shine more than the fryers and griddles used for preparing junk and fast foods. Also, you may become prone to pimples and acne. But it’s not just your skin that’s put in peril by greasy foods, but also your heart. According to experts, moderate intake of alcohol actually offers some health perks. But if you consume more than 2 glasses of alcohol a day if you are a male or more than 1 glass of alcohol a day if you’re a female, then you are putting your health as well as your appearance at risk. Too much alcohol introduces toxins into your body that can speed up the aging process of the skin. Also, lots of alcohol can lead to dehydration, something that can cause fine lines and wrinkles to appear. Don’t forget that beer belly you can end up with if you drink lots and lots of alcoholic beverages! Just like alcohol, moderate amounts of coffee lets you enjoy a bunch of health perks courtesy of the antioxidants it has. It is an entirely different story, however, it you drink it excessively. Aside from causing you to experience a bunch of unfavorable caffeine side effects, too much coffee can also make you look ugly. That’s because coffee has dehydrating effects just like alcohol. Consume lots of it and you may end up with saggy and wrinkly skin, not to mention spotted with dark eye circles. By the way, coffee can also make your smile unpleasant as it can stain your teeth. It’s no secret that smoking cigarettes is something that can significantly increase a person’s risk of lung cancer and heart disease. However, it’s not just smokers themselves that are in danger — secondhand and thirdhand smoke can put the lives of non-smokers in danger, too! Smoking is a habit that that you should quit if you are a beauty-conscious individual because it can actually make your skin look dull. Also, it can speed up the aging process of your skin, experts say. This unhealthy habit can also make your breath reek and your pearly whites discolored. Whether the reason for your failure to get 7 to 9 hours of sleep per night is your incessant partying or high levels of stress, you can be sure to look less attractive if you are not spending enough time in dreamland. 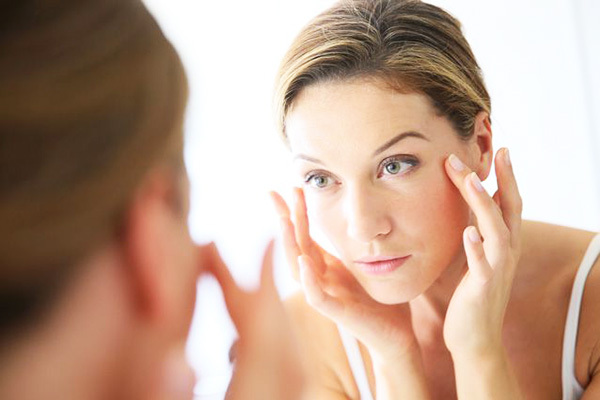 Skin experts say that lack of sleep can have profound effects on your appearance. Definitely, your eyes are some of those that are greatly affected by lack of sleep — they can look puffy, tired and bloodshot. Sleep deprivation can also cause pimples, acne, wrinkles and a dull complexion.